After six years of absence, Ministry is back with their most diverse and ambitious album to date. The production of “From Beer to Eternity” is a tragedy-laden story featuring the late Mike Scaccia who passed away soon after recording his parts due to an on-stage heart attack while performing with Rigor Mortis. 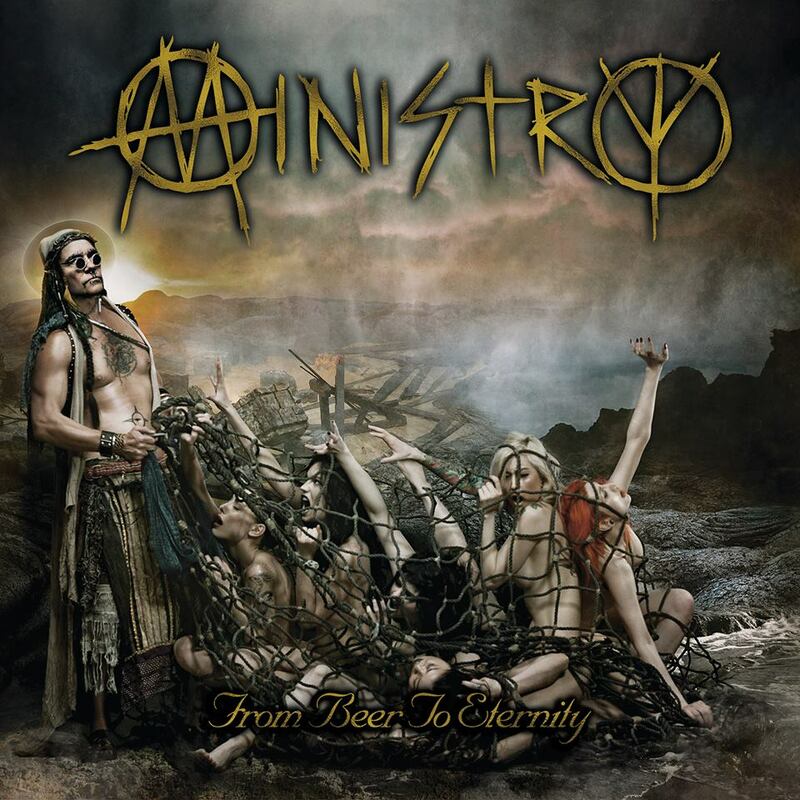 Al Jourgensen, the mastermind behind Ministry, promised a fast and heavy album and delivered one that is also very emotionally charged and musically experimental. From the opening track “Hail To His Majesty (Peasants) that is more akin to Dark Wave to the ambitious seven minute opus “Change Of Luck” which Jourgensen wrote directly about Scaccia’s death, the album keeps the listener hooked by toying with very different musical directions and a plethora of otherworldly sounds. “Thanx But No Thanx”, for example, is a politically charged, groovy, psychedelic title that is much more than just a little reggae-flavored….and yet, it does not stand out like a sore thumb amidst the other tracks. “From Beer to Eternity” is a dancey, heavier than hell experience that manages to mix in some outlandish new musical elements for good measure while keeping you interested the whole way through with the signature Ministry Industrial sound. 4.5/5 Dragons.